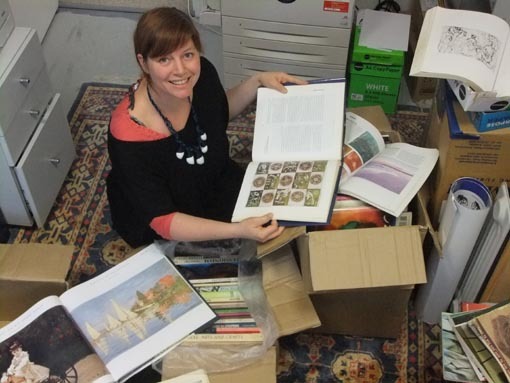 You can help Arts Access Aotearoa increase access to the arts for everyone in New Zealand. Creative artistic expression is central to our human need for identity and connection to others. 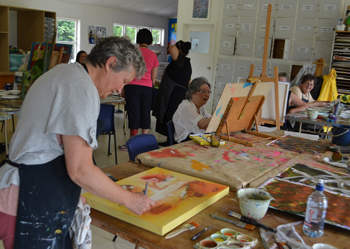 By donating to Arts Access Aotearoa you support artists and arts organisations in the community and professional arts sectors; people with physical, sensory or intellectual impairments; and people with lived experience of mental illness. 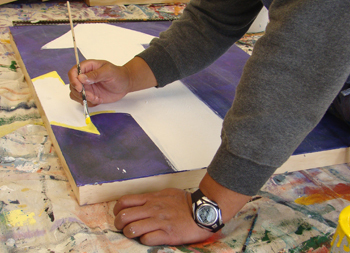 Arts Access Aotearoa also advocates for the arts to be used as a tool for rehabilitation in prisons. With your help, all people in New Zealand, now and in the future can be included in the arts as artists or audience members. As a friend you can make a monthly donation and be kept up to date with events and activities throughout the year. Your regular donation will support us to make a difference as we support and train arts organisations, festivals, museums, venues and producers across New Zealand to improve their access for disabled artists and audiences. 1. Arts For All: increasing access to arts and cultural events for everyone. 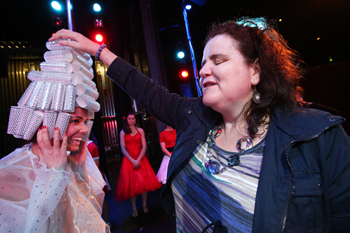 Martine Abel, who is blind, gets up close to the cast in a touch tour before Tauranga Musical Theatre’s audio described performance of the musical Grease. In 2010, Thonia Brooks had a stroke. It left her with some impaired brain functioning, a weakened left side and fatigue. “Learning to develop my own art practice and attending an art therapy group for stroke survivors at Spark Centre in Auckland has made a critical difference to my quality of life and hence". 3. Arts Access Awards: celebrating individuals, groups and organisations that provide access to the arts. 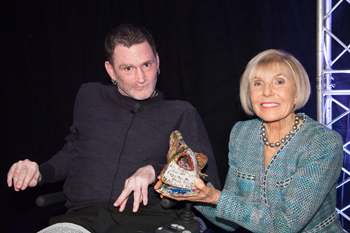 Philip Patston was presented the inaugural Arts Access Accolade by award patron Dame Rosie Horton at the Arts Access Awards 2014. 4. Arts in Corrections: using the arts as a tool supporting the rehabilitation and re-integration of prisoners. created by prisoners at Waikeria Prison in the Waikato. Large images of the paintings are hung in facilities such as Police cells, Community Corrections offices and Court foyers to ensure there are positive messages for offenders and their families to read. If you have a credit card, you can make an easy and tax-deductible online donation to Arts Access Aotearoa through our Online Donation Form or our Givealittle page. If don't have a credit card, you can still make a tax deductible donation to our work by making a direct credit to our bank account 03-0502-0040862-00 or by ending a cheque to PO Box 9828, Wellington. Please include "donation" as a reference and provide your contact details to Dawa Devereux (E: info@artsaccess.org.nz T: 04 802 4349) so she can issue you with a receipt. Arts Access Aotearoa is a registered charitable trust (C33533) and you can claim a tax credit on any donation of $5 or more. By sponsoring Arts Access Aotearoa, your business can be strategically aligned with a national arts charity that increases access to the arts for everyone in New Zealand. If you would like more information about how you can support Arts Access Aotearoa, please contact Richard Benge, Executive Director (T: 04 802 4349 or 021 217 1002 E: richard.benge@artsaccess.org.nz). Your bequest will help us a build a more inclusive society to ensure that future generations will experience art and creativity without barriers. Arts Access Aotearoa has a contract with the Department of Corrections to support arts activities in prisons around New Zealand. This means we engage with Corrections staff, artists, volunteers and community groups and support them to deliver arts activities. Thank you for your interest in making a donation to Arts Access Aotearoa. Everything we do is to ensure that everyone can experience the arts in New Zealand, whatever their circumstances. This can be life-affirming for people who face barriers to accessing the arts. Original generation time 1.0408 seconds. Cache Loaded in: 0.0165 seconds.